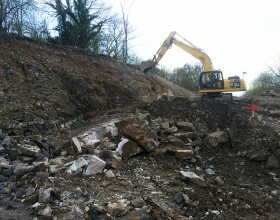 The geology to the west of Mold in North Wales has a long history of extractive industries. 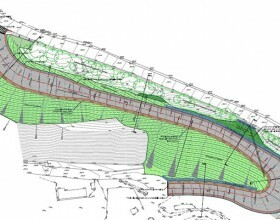 Mineralised veins within the rocks have been mined for lead, and mine voids have been used for drainage and storage, including munitions and explosives. 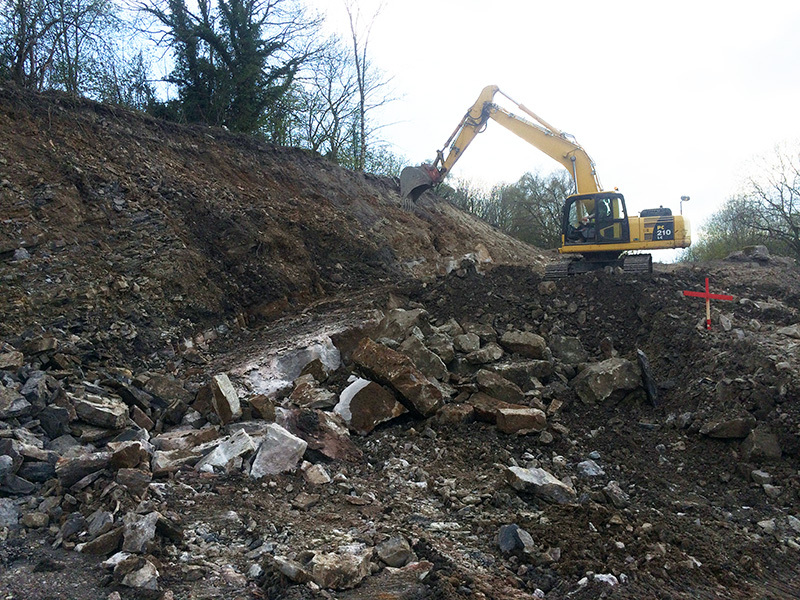 At Cambrian Quarry in Gwernymynydd, underground workings extracted the sandstone which was crushed to provide the abrasive content in the scouring powder ‘Vim’ until the 1970’s. 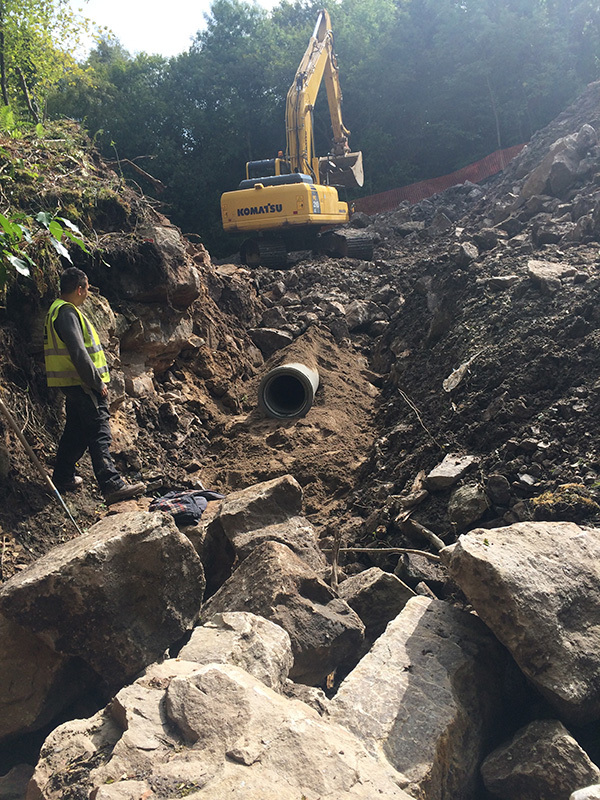 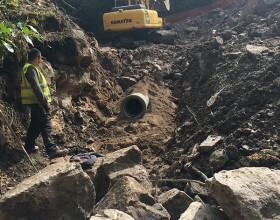 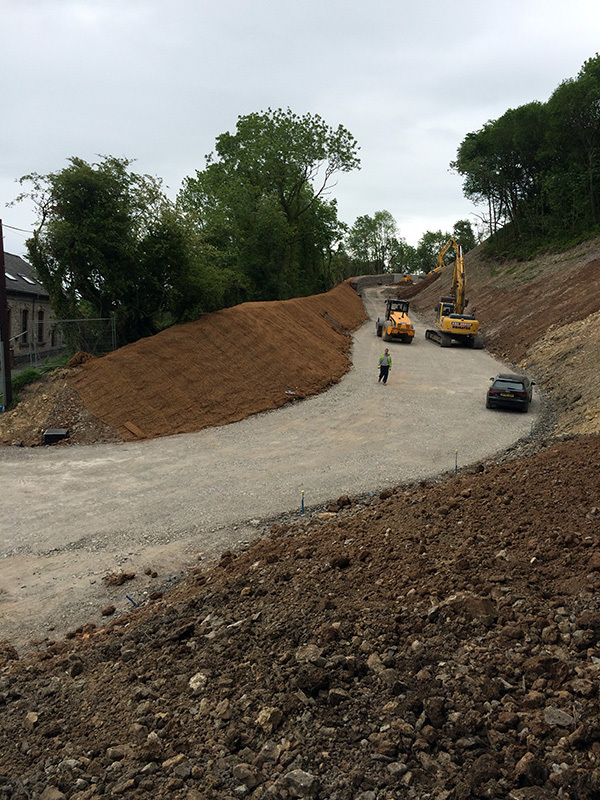 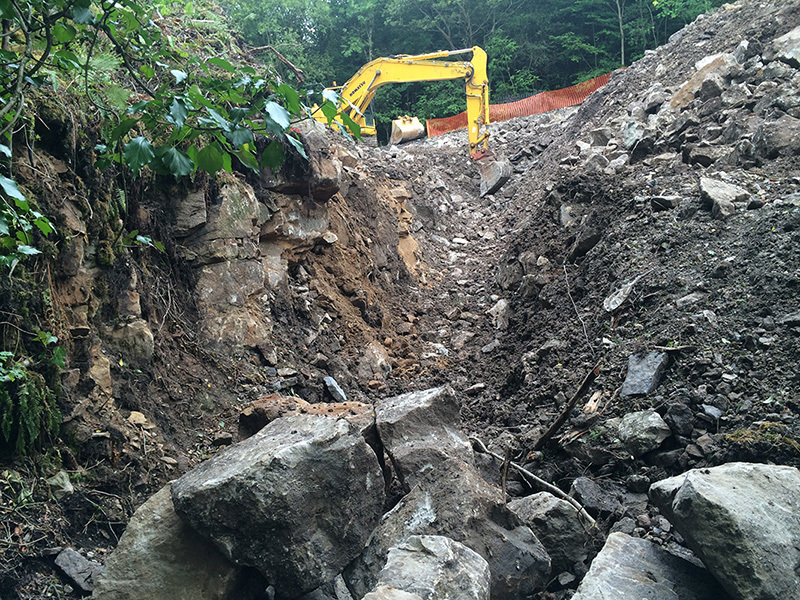 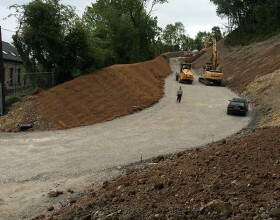 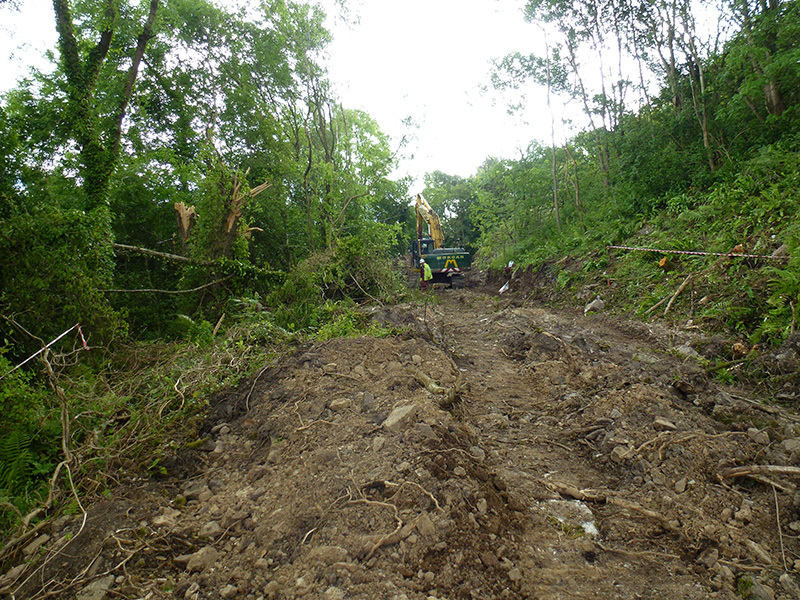 Local waste and reclamation specialists ASH Group Ltd are to backfill the quarry over the next decade by the importation of approximately half a million cubic metres of inert restoration materials to progressively infill the Quarry Void. 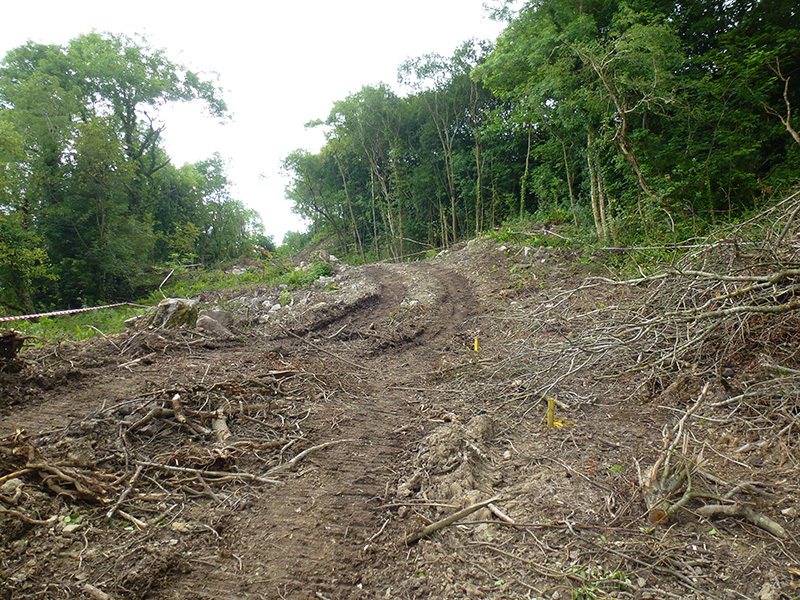 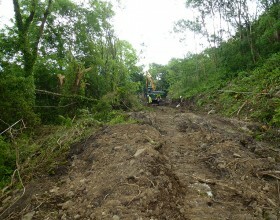 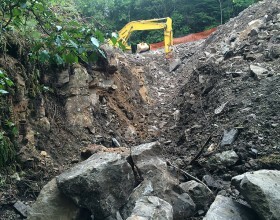 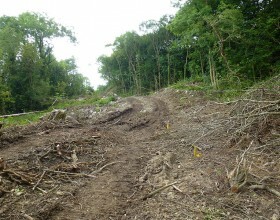 The restoration of the Quarry Void to a shallow valley landform that will be used for agriculture and nature conservation. 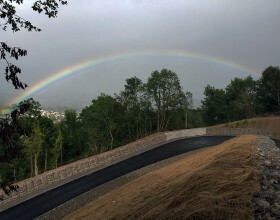 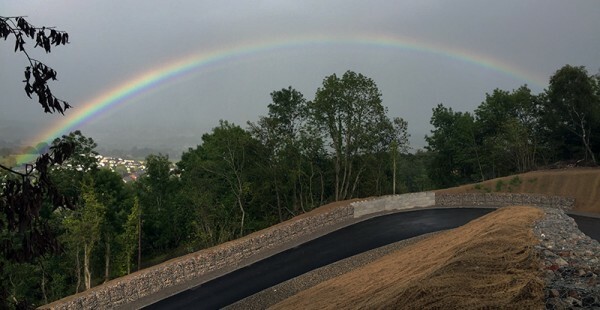 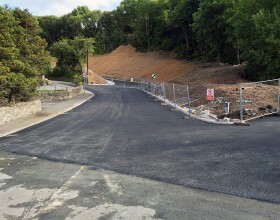 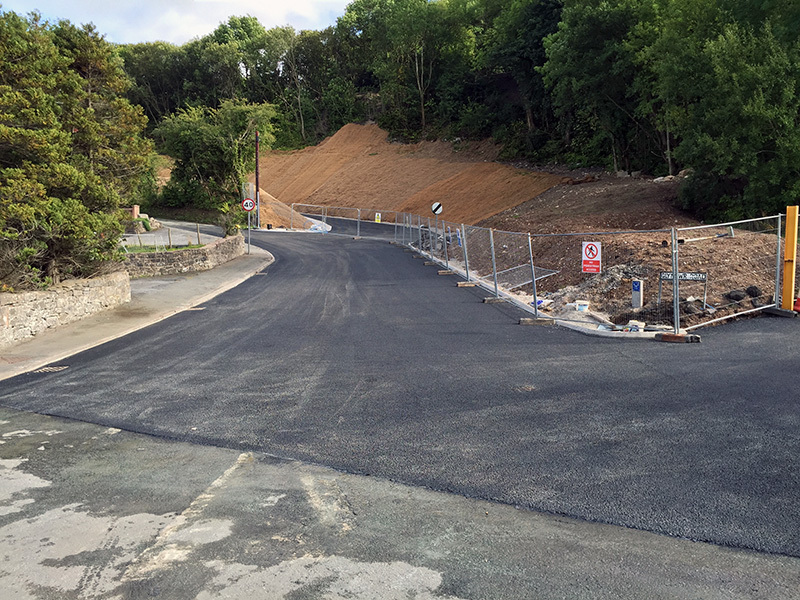 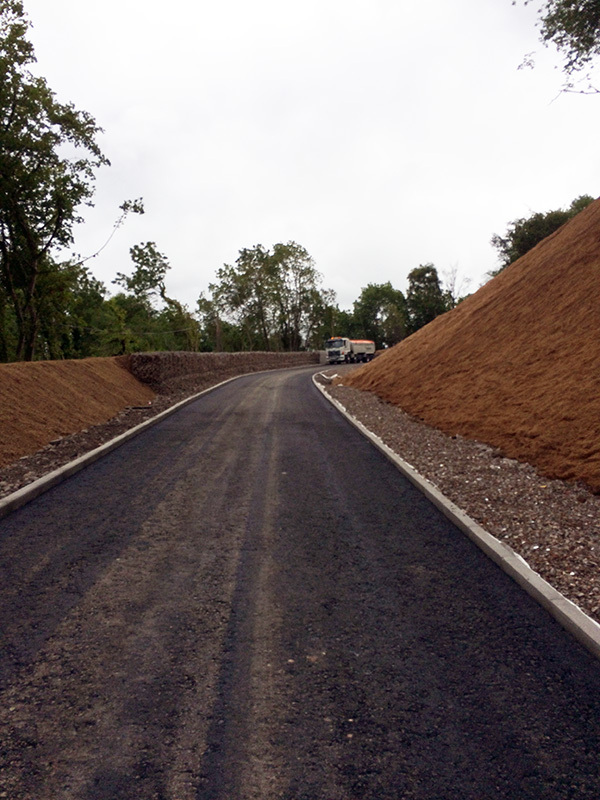 A key aspect of the planning application was the construction of a new internal access road and entrance on to Glyndwr Road, together with associated landscape works. 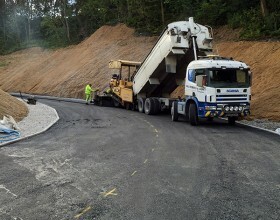 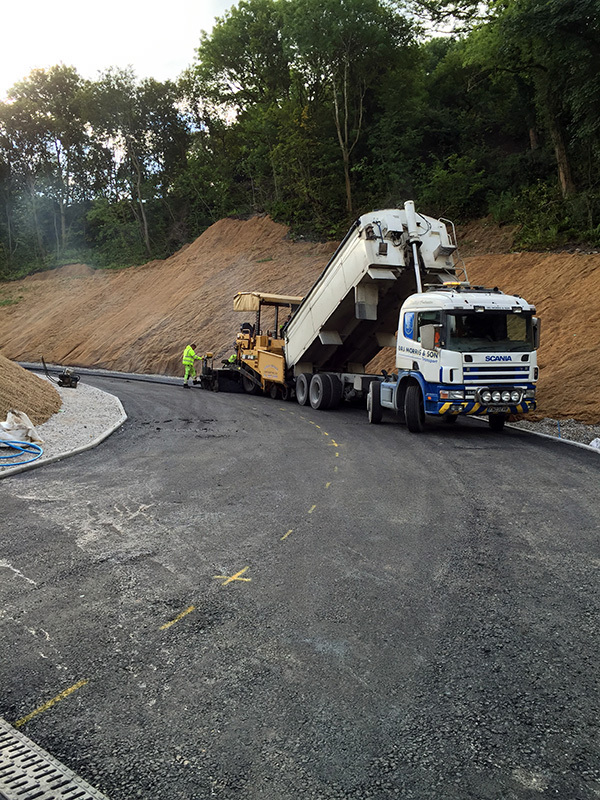 Geotechnics Limited provided the geological assessment and site investigation services and commissioned PaSCoE to undertake the highway and geotechnical design. 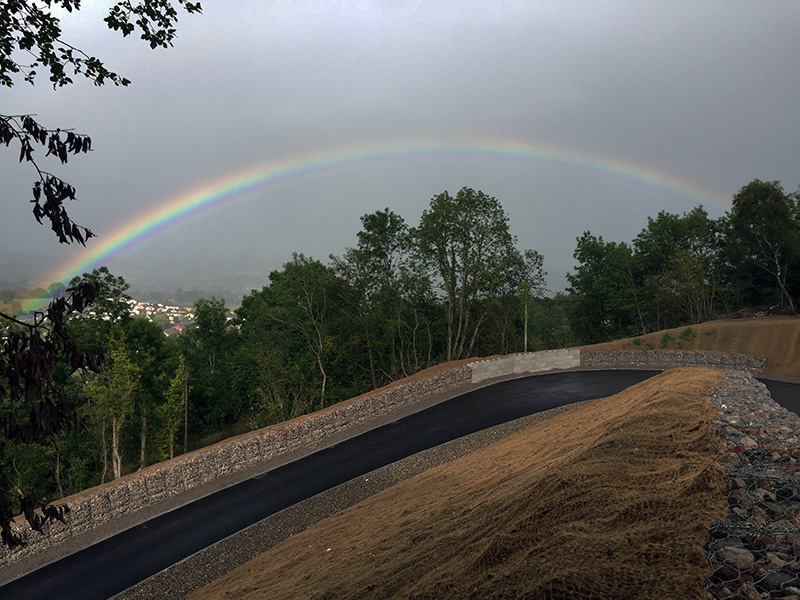 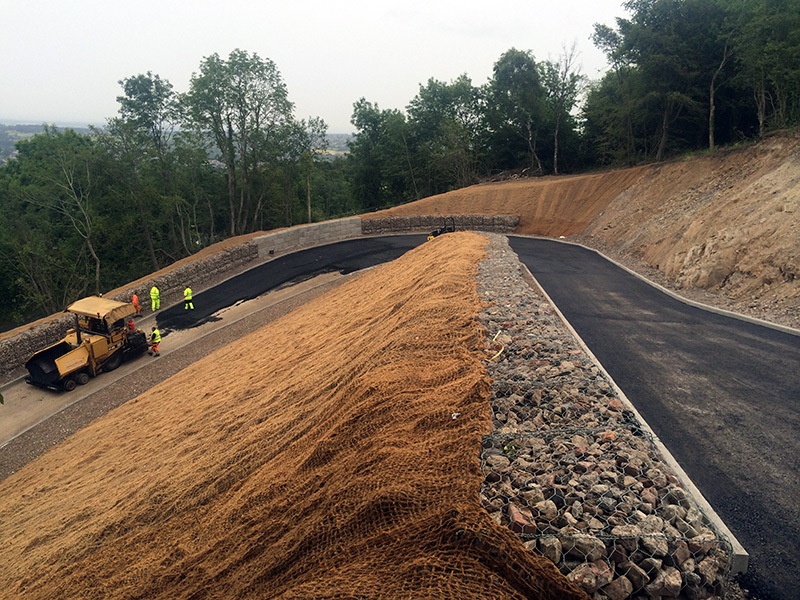 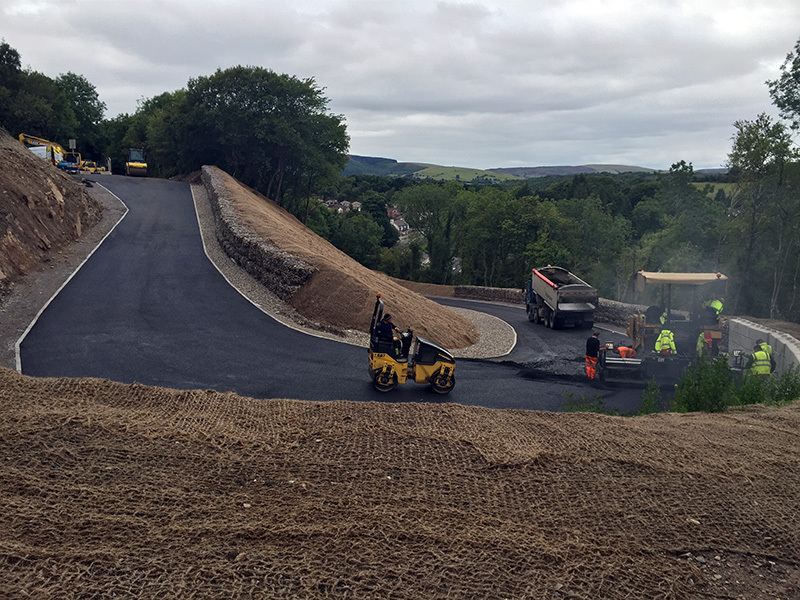 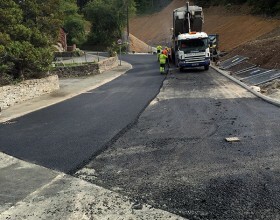 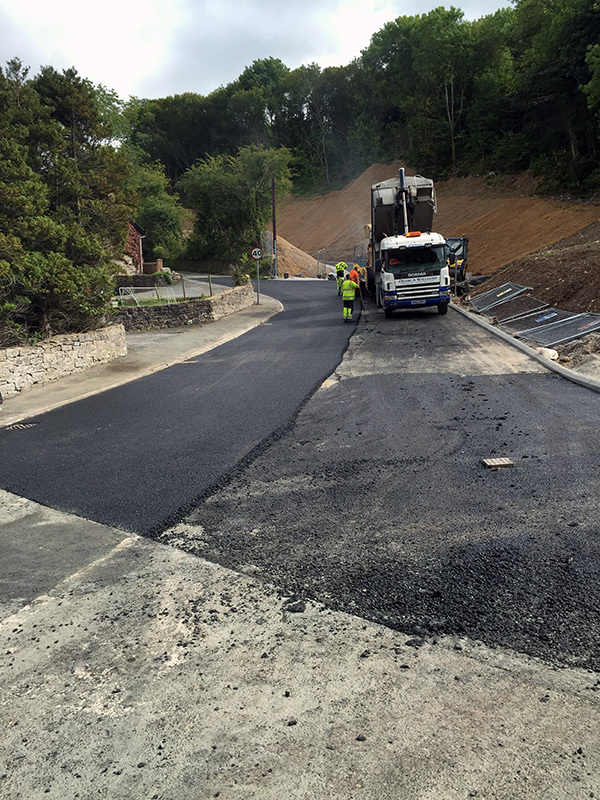 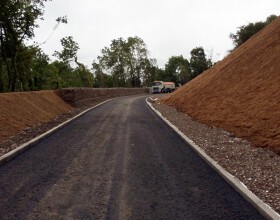 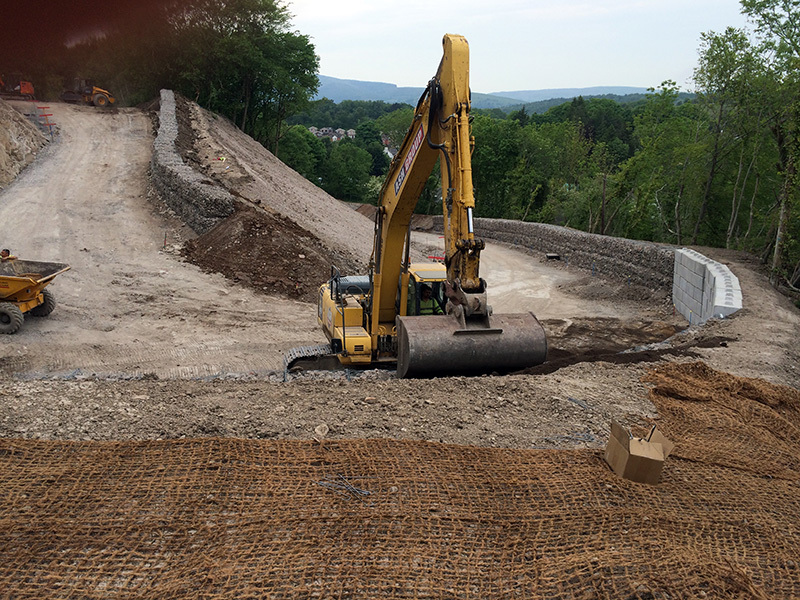 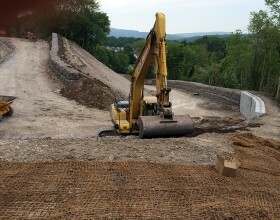 Working within restricted site constraints together with a requirement to maintain screening to existing properties led to some innovative design and detailing on the road and retaining structures. 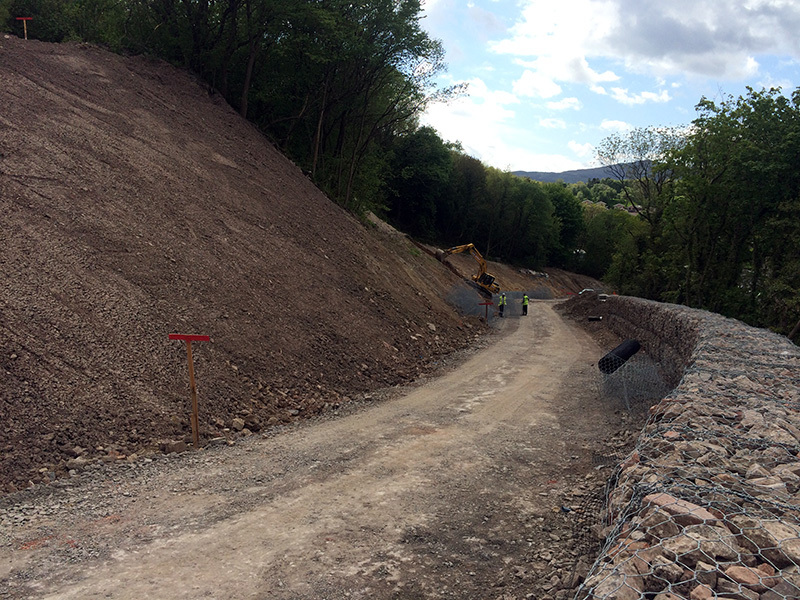 An existing habitat for the lesser horseshoe bats and the need to maintain ventilation to the quarry tunnels beneath the new road added to the complexity of the solution. 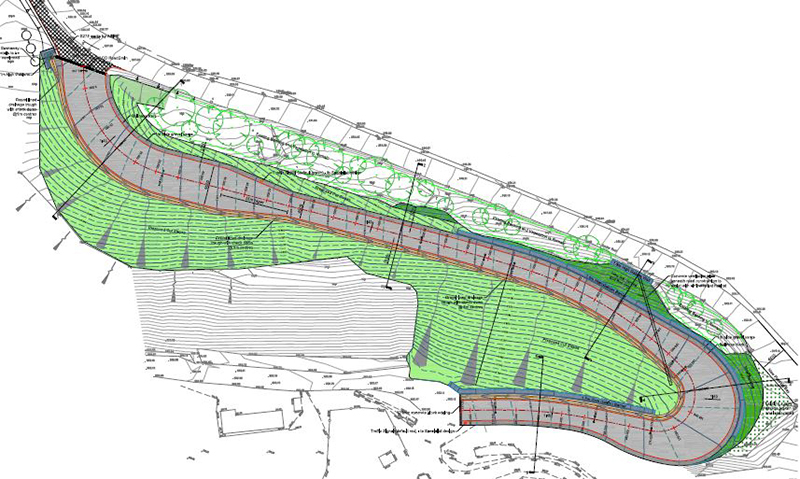 The successful completion of the planning, design, and construction works for this scheme illustrates the advantages of a proactive Client working collaboratively with experts from a number of disciplines to deliver a well-designed and cost effective solution.